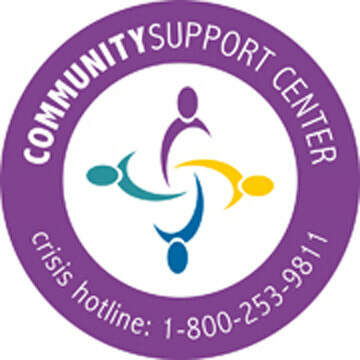 1 in 4 women will experience domestic violence in her lifetime. 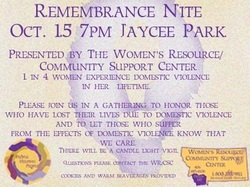 Remembrance Nite is the Women's Resource Center's Domestic Violence Awareness Month's event for Dillon, Montana. 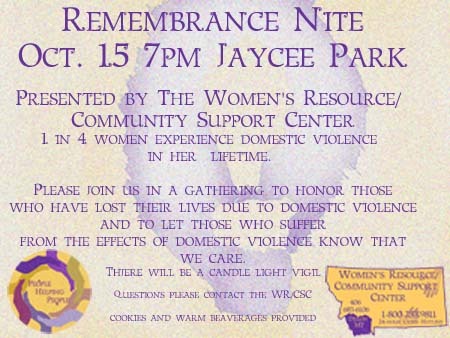 Each year we hold a candle lite vigil/moment of silence to remember those who have lost their lives due to domestic violence.